Beautiful Cora headscarf available in many colours. 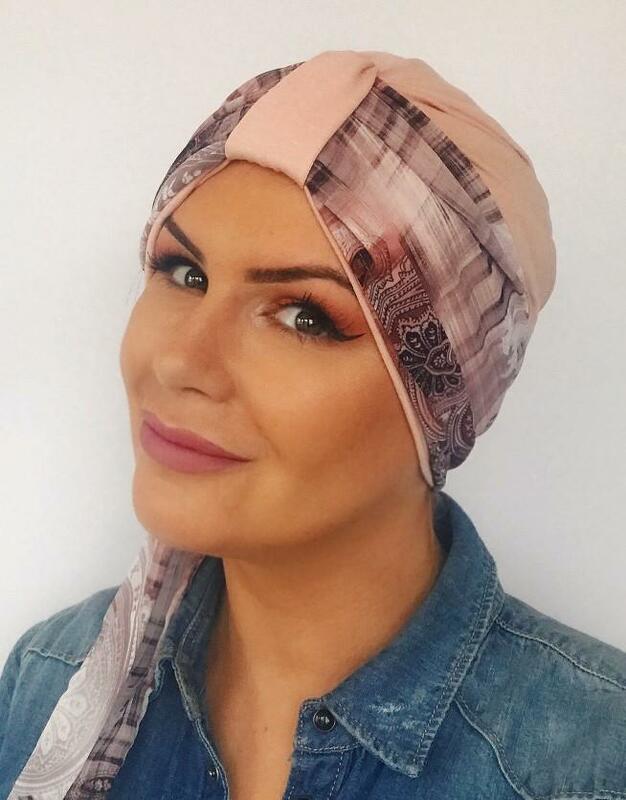 This is a simple chemo hat with a space to feed matching scarf through which is fastened with a simple knot at the back. Price is for both hat and scarf. Scarves are interchangable and hats can also be worn on their own. Ties can be fastened to either side or the back. They can be knotted, bowed, bunned or left to hang.